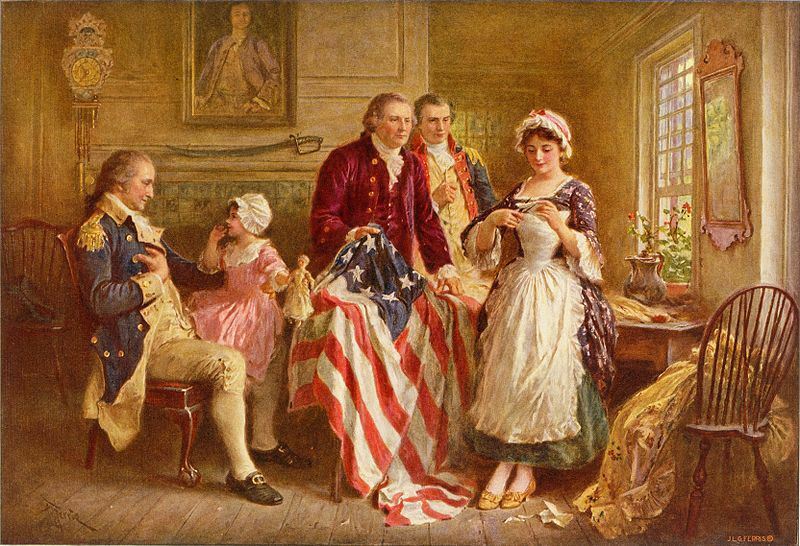 We all know the story, or think we do, of how young Betsy Ross was a friend of George Washington and how she proposed a design for the first flag of the United States (pictured above in the 1898 painting by Jean Leon Gerome Ferris of Philadelphia). We know about her clever five-pointed star, which was both thrifty and elegant displayed on a blue background nestled next to the red and white stripes of the Thirteen United States. We have heard that she was a seamstress and an upholsterer, a patriot, and a woman of the Revolution. This is the Betsy Ross of legend. What the true historical record shows with reference to the First Flag and Betsy, nee Elizabeth Griscom, is perhaps not as clear cut, but Betsy’s legend lives on all the same. 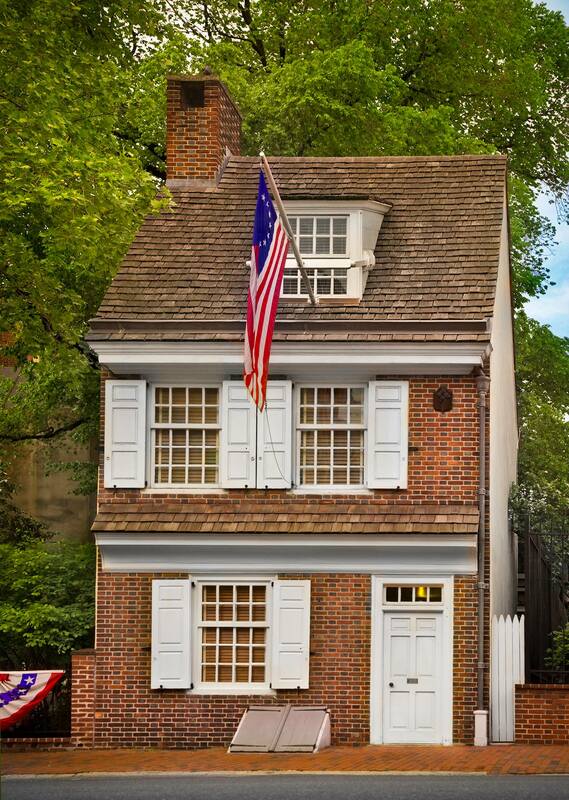 For me, Betsy Ross was a way into the early history of the United States. The grey-haired, motherly Martha Washington, and the New Englander Abigail Adams couldn’t hold my interest for long, but Betsy’s story spoke to me and somehow still does. Her youth, her courage, her cleverness. 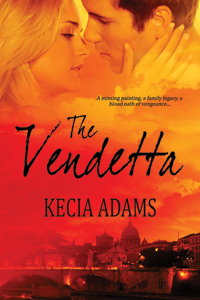 Whether or not her legend is based in fact or family lore, her story resonates. Who are your heros of the Revolution? Do you like to imagine how it played out for “average” people like Betsy? Or do you prefer the grander words of the Founding Fathers?